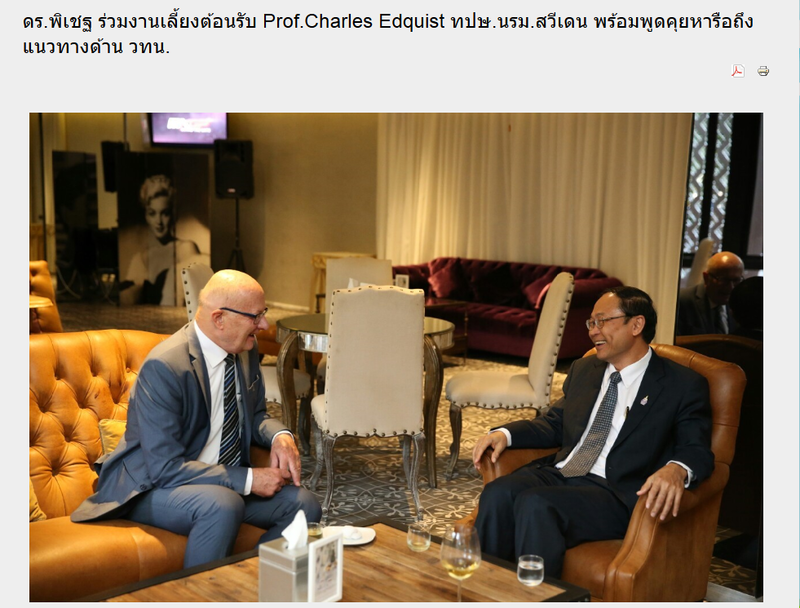 On September 5 – 7 Charles visited Bangkok, Thailand. He met with Top Executives at the Ministry of Science and Technology, including NSTDA, TCELS, and the STI Policy Office. 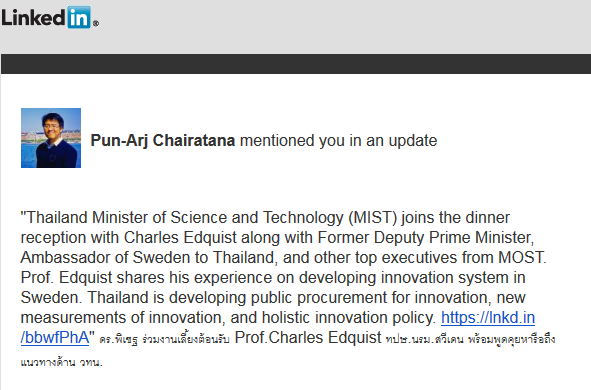 He also gave a lecture entitled “Driving Innovation through Public Policy: The Case of Sweden” in which there were some emphasis on financing of innovations and public innovation procurement. The visit was organized by the Thai National Innovation Agency (NIA). The seminar program can be found here.